Chevy has been perfecting the old-school pushrod V8 for a long time now, but its day may be nearly over. Internal GM documents have leaked that hint that the 2018 Corvette might get an entirely new engine called the LT5. This engine is tipped to be a more modern dual overhead cam version. The leaked documents was found buried in a GM service department document that lists internal codes that will be used for 2018 year model vehicles. The LT5 lists an engine with a description that the Corvette faithful aren’t familiar with. That description is ENGINE GAS CYL, 6.2L, SIDI, DOHC, VVT, ALUM, GM listed as a Y code that will only be for the Corvette dubbed the LT5 (not pictured). 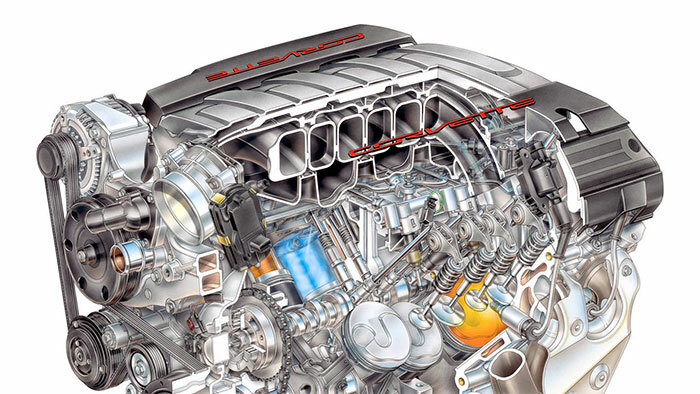 GM has used a DOHC engine in the past, it was in the C4 ZR-1, a legendary car from GM’s past. If you are wondering the normal LT1 and the LT4 are both listed for 2018.